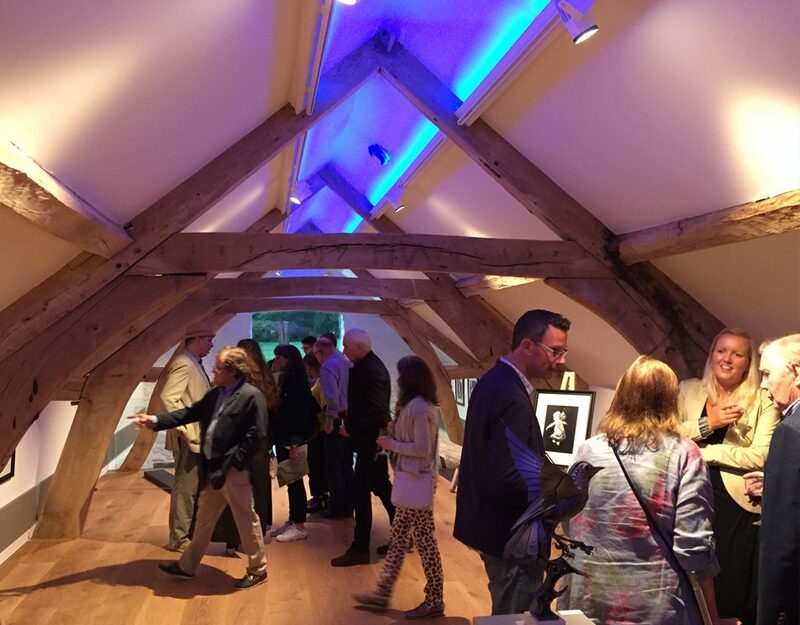 Last autumn saw the completion of the most fantastic contemporary art gallery in rural Herefordshire, during Canwood Gallery’s successful opening night. The project is the dream of retired Farmer, Stephen Dale, a life long collector of contemporary abstract art. The collection of paintings, and sculpture, for the first time can be exhibited in his very own gallery space. Stephen intends to allow members of the public, from time-to-time, to view the exhibits in this purpose designed venue. Opening night was a coming together of art enthusiasts, artists and supporters, to view the gallery, art and sculpture on display. Local musicians, chefs and purveyors of food and drink were on hand to ensure the assembled gathering had an enjoyable evening. Stephen has ambitions for enhancing the gallery experience, with the possibility of guests enjoying refreshments, and an expanded area for large scale land art.